These Gourmet Cake Fundraisers will provide you with the ultimate gourmet experience whether for your next dinner party, a gourmet gift for someone special or just a treat for you and your family, from our collection of elegant desserts. After trying our scrumptious pies, our luscious cakes or our creamy cheesecakes we are sure that one taste will leave you reaching for another! We invite you to "SAVE THE BEST FOR THE LAST." 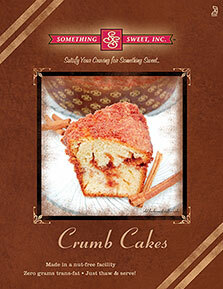 Cake fundraising is made simple and delicious with Something Sweet Crumb cake!! Enjoy great tasting product and profits from the fundraising ideas that are just perfect for most every organization. Cheerleaders, church fundraising, band groups, school trip fundraising, and MORE can realize their goals, easily with these well received cakes from Something Sweet. Win -Win Situation ... Baker’s dozen special. Each seller which sells TWELVE units of cake will earn a free 13th CAKE unit off the case overage. Join the winner’s circle with a 32 ounce cake product which is made from zero grams non fat, and of course all natural ingredients. 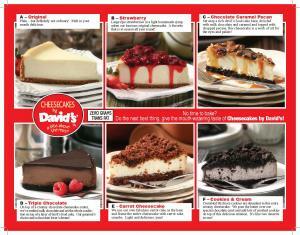 Church fundraisisng ideas begin and end with these David's Cheesecakes. They are always welcome at home groups and special gatherings. Extra creamy filling will bring your customers back with every fundraising season. 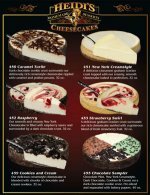 Be assured that these cheesecakes are top quality, call for details. Many organizations, just like yours, enjoy offering Heidi's cakes each year. Any you know what? Their customers come to love and expect them year after year. Really, they sell themselves. The selection is terrific, and the cakes are outstanding. Return to the top of this Cake Fundraisers page. 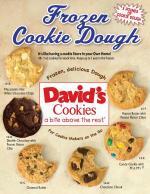 Earn BIG profits with Davids Cookie Dough Fundraising as a great way for raising money it’s profitable and simple fundraising!! 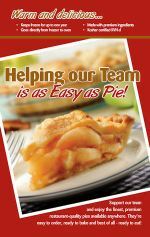 Earn big profits with a great tasting pie fundraiser for your organization. Up to 55% profit, pre pack programs available. Sell 12 items get one free! 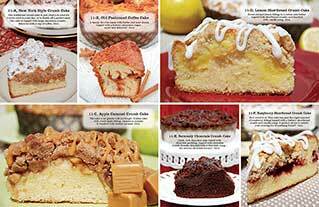 Enjoy the great taste of Gourmet Cake Fundraisers --while earning great profits! Cheese Cakes and Chocolate Cakes and much more! !